Total nonfarm wage and salary employment decreased by 7,700 in February to reach a seasonally adjusted level of 4,183,600. The decline was concentrated in the private sector of the state’s economy, down 9,300. 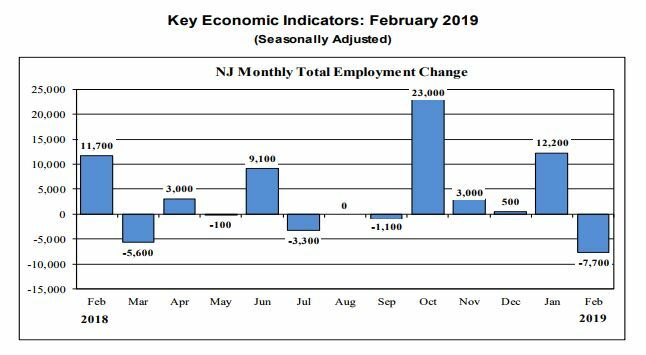 Looking at the longer-term, over the year February 2018 – February 2019, employment in New Jersey was higher by 33,000, with gains recorded in both the private – up 30,600 – and public – up 2,400 – sectors of the New Jersey economy. Losses were registered in all private sector fields except for manufacturing, up 200, and professional and business services, up 1,000. Losses were recorded in eight out of ten industries reported by BLS. 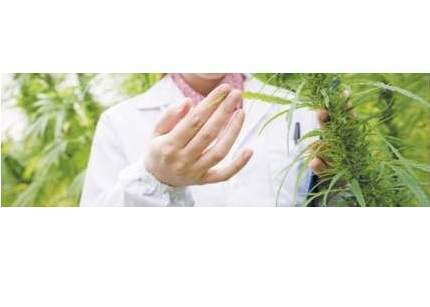 Industry sectors that experienced a decrease include trade, transportation, and utilities – down 4,200; financial activities – down 1,800; leisure and hospitality – down 1,400; education and health services – down 1,300; other services – down 1,000; information – down 500; and construction – down 300. Over the month, public sector employment was higher by 1,600 jobs, mainly due to gains, at 1,3000, at the local level.